The cross has been a profound symbol of faith for over 2,000 years. It recalls the pain and suffering of Jesus Christ and His ultimate triumph over death. But what about your own cross- what did Jesus mean when He said, "take up your cross and follow me"? In this series you'll follow the journey Jesus took toward Jerusalem and crucifixion with Mideast journalist Jimmy DeYoung and special guests Michael Rydelnik, professor of Jewish Studies at Moody Bible Institute, and Joe Stowell, president of Cornerstone University. Discover the power of a choice Jesus made on His way to Calvary and what He wanted you to know about living the crucified life. You'll see just how deep the love of Jesus is for you, when you take up your cross and follow Him. Today the City of Hebron can be a dangerous place. But it hasn't always been this way. It was here that a man named Abram came with his family and all their worldly possessions—following a promise he had received from God. Join Mideast journalist Jimmy DeYoung for a tour of this fascinating city. 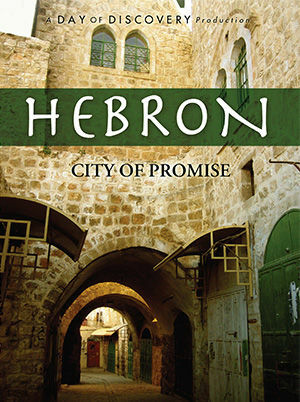 You'll examine remnants of Hebron dating back 4,000 years. You'll also learn of the many significant events that took place here, and why they are significant to Jews, Muslims, and Christians alike. Beneath the ancient city of Jerusalem sleep historic treasures that are being awakened by archaeologists at an ever-increasing rate. These treasures shed new light on both the history of Jerusalem and its effect on the entire world—both politically and spiritually. 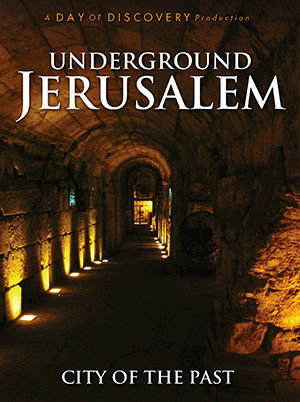 Travel to “Underground Jerusalem” with Mideast journalist Jimmy DeYoung and some of Israel's leading archaeologists. From the steps of Herod's temple to the pool of Siloam, there are new journeys to be taken and stories to be told. People continue to be drawn from all over the world to the little town of Bethlehem—the place where Christ was born. Although the birth of Jesus Christ took place more than 2,000 years ago, the message of God's love will go on forever. In this Day of Discovery presentation, you'll tour this fascinating modern city where the amazing events of Christmas began. 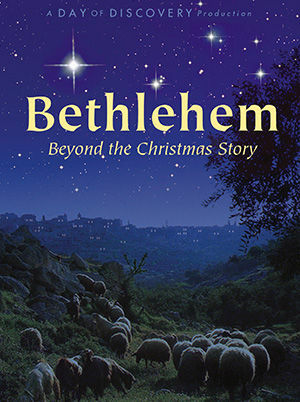 Join hosts Jimmy DeYoung and Bonnie Keen as they take you to key locations throughout Bethlehem, from Manger Square in the heart of the city to the Shepherd's Fields. Follow along as the story begins with King Herod and unfolds to reveal the true Messiah and King of the Jews, Jesus Christ. Gain a better understanding of the compassion God had for the world by giving us the gift of His Son. And see the impact of “Emmanuel, God with us” throughout the city of Bethlehem today.